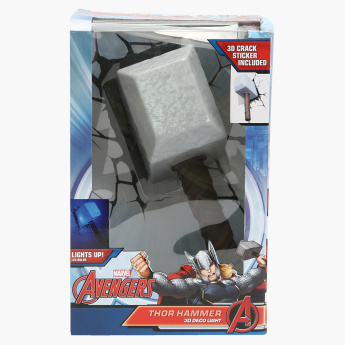 3D Deco Light FX Thor Hammer | Multicolour | Cordless, battery operated. 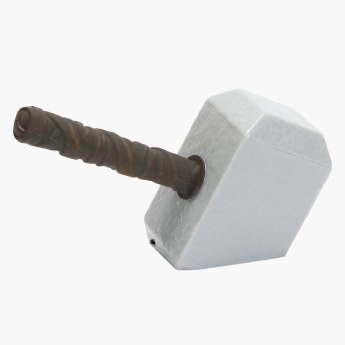 Wall Sticker included. 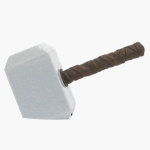 If you're looking for an exciting way to decorate your kids' bedroom, then install this amazing Thor hammer wall light. As this 3D wall light is available with a wall sticker that gives the impression of a cracked wall, your kids are sure to love it. This easy-to-install cordless light is safe to use since it does not overheat.